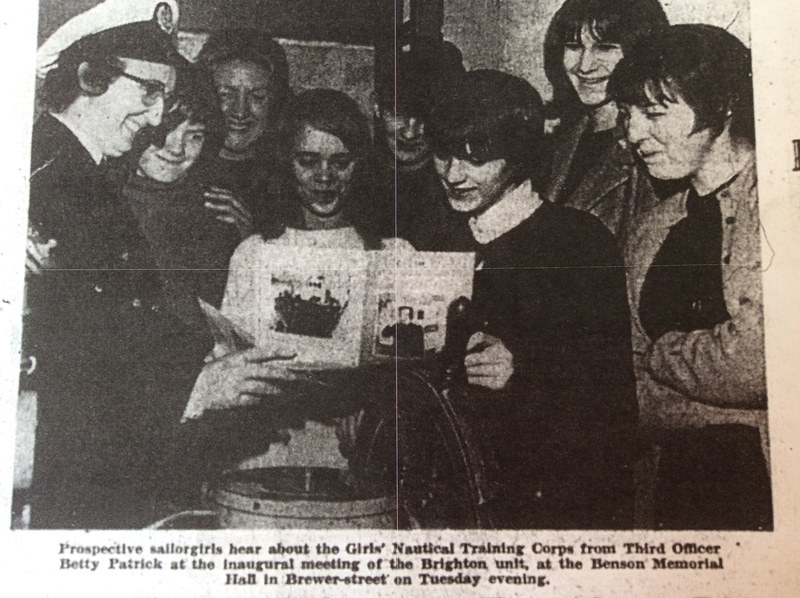 Brighton Girls Nautical Training Corps was launched at Brighton Sea Cadet unit at the Benson Memorial Hall – Tuesday 15th Feb 1966. This photo was printed in the Brighton Herald. L – R. Mrs Betty Patrick – Christine ? – Mrs Beaumont- Angela Wilson – Helen ? – myself Irene Budd – Leila Beaumont and Sheila Hollman. We had many happy times until the girls unit folded a year or two after. (Apologies if I got any names wrong). The only girls I still see are Angela and Sheila. Does anyone have any more photos from our time together.